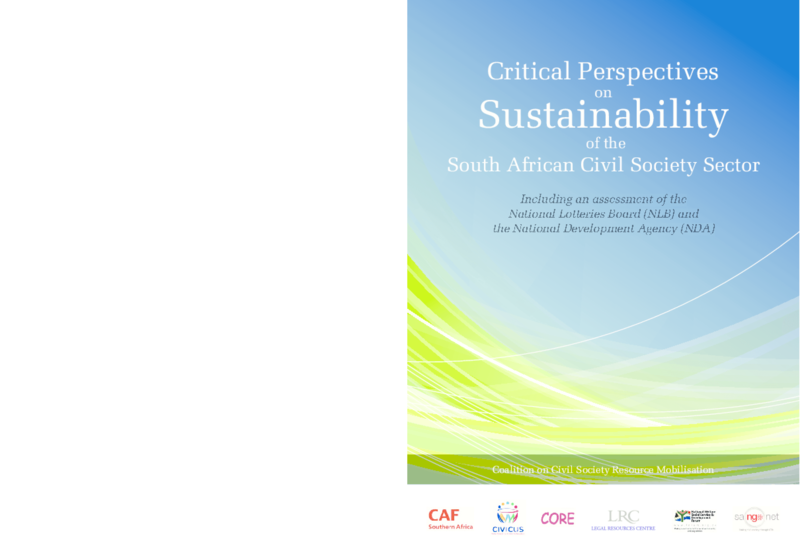 This report presents the findings of a research and advocacy process that included consultative workshops with CSOs in all nine of South Africa's provinces, interviews with CSOs, politicians, government departments, the NLB, NDA and local funders. The report highlights the successes and ongoing problems associated with the NLB and the NDA. It locates them within a broader context of government unevenness, inefficiency and corruption. Copyright 2012 Charities Aid Foundation Southern Africa.